Everyone seems to be growing food. Today we choose to grow food for a wide variety of reasons. Primarily it is the responsibility of wanting to put quality food on our own tables. Whatever our reasons for wanting to grow fresh food, we all want to grow top quality vegetables keeping plant disease, insect problems, and work at a minimum, and having an optimized usage of space. No gardener wants to be a slave to seeding and watering. This is where mulch comes in. By using a 2 to 3” layer of natural mulch, you can reduce weeds by 90% and watering by 50%. Today suburban gardeners face the challenge of an inherent lack of space. Choose plants that are the most bountiful based on the space that they demand. Beets, onions, bush beans, carrots, leaf lettuce, mesclum mix, peas, peppers, radishes, staked tomatoes, and spinach are just a few of the most productive vegetables per square foot. 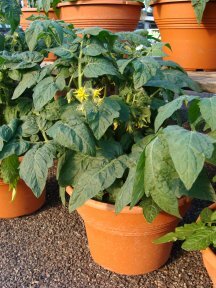 Plant edibles in containers. It will provide the opportunity to move plants into sunny positions on the patio or deck, or in the yard. Use vertical space. Consider how to use the walls on the sides of a condominium balcony or a fence in your backyard. Grow cucumbers on a trellis or gate fence to keep the plant off the ground. 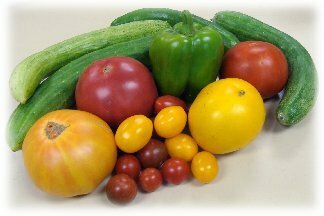 Not only will you use less space by “growing up”, but the vegetables will also perform much better. The increased air circulation and sun exposure provides the perfect environment for great quality and quantity at harvest time.